Join this free online course, Cloud-Native Development with SAP Cloud Platform, to learn and experience how microservice-based cloud native development with SAP Cloud Platform works. This is an advanced course aimed primarily at developers and application and technology consultants, teaching hands-on the important concepts of developing innovative cloud applications. In this new advanced course, you’ll learn how to develop microservice-based cloud-native applications with SAP Cloud Platform through hands-on exercises. You’ll be working primarily with the Cloud Foundry environment within SAP Cloud Platform and many of its open-source services to develop step-by-step a Java-based application that is made for the cloud. We’ll start with a theoretical introduction to SAP Cloud Platform and microservice architectures. We will also cover Spring basics and introduce the sample application with which we will be working throughout the course for the hands-on exercises. In the following weeks, we’ll go deeper into how to create a microservice, how to connect a database, how to handle logging and tracing, as well as service-to-service communication, how to ensure security, and additional topics like multitenancy, continuous integration and delivery, Spring Boot and advanced microservice design. In between we will also cover topics like REST services, stateless apps, Cloud Foundry as a platform, unit and component testing, and much more. In the hands-on exercises we will start based on an empty shell application and build a full real-world cloud application. The optional system preparation with instructions on setting up the development environment and some information to get started will open two weeks before the actual course start. This advanced course is primarily aimed at developers and application and technology consultants who have already finished the openSAP course SAP Cloud Platform Essentials (Update Q3/2017) and want to learn more. For the first time, we’ll cover in-depth microservice architectures and the open-source services of the Cloud Foundry environment within SAP Cloud Platform, and how to leverage them to build cloud-native applications. As this course focuses in detail on the app level, the backend and how to offer REST services, topics like building SAP Fiori UIs with SAPUI5 are not covered. To learn about those topics please have a look at the great openSAP courses Developing Web Apps with SAPUI5 and SAP Fiori for iOS - Build Your First Native Mobile App. Also, database development for SAP HANA is not covered in this course, please refer to the openSAP course Software Development on SAP HANA (Update Q4/2017) to learn more about that. The registration, learning content, and final exam are free of charge. You’ll be able to get some practical experience of the platform by using a free trial account. We’ll explain how you can access this in the System Preparation. If your primary interest in taking this course is getting a technical overview of the development-related capabilities of SAP Cloud Platform, you do not need access to a development system. However, we realize that many of you will be interested in experimenting with the platform and developing your own code, based on the instructions in the course. You can register for your own free trial account for SAP Cloud Platform. We’ll also explain how to do this at the start of the course. There are a few restrictions for the free trial account, but you’ll be able to follow the course without any problems, as the instructor will use the same system as you. For this course a preconfigured virtual machine image is provided and its use is recommended if you want to follow along with the hands-on exercises. The setup is provided and explained in Week 0: System Preparation. Dr. Juergen Heymann is a chief development expert in the central Software Engineering department at SAP, where he is involved in advanced training for developers and quality engineers. After working in the USA for 5 years, he joined SAP in 1995 and worked as a developer and architect in various areas. His latest focus is on developing fast ramp-up courses for cloud-native development. 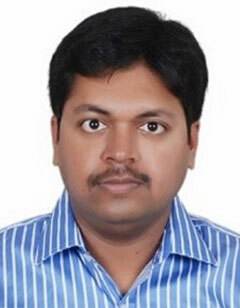 Krishna Kumar S is a senior developer at P&I Technology. 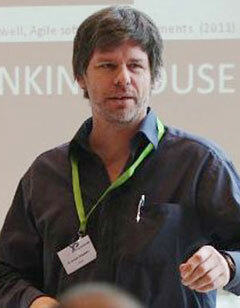 He joined SAP in 2008, and started his career as a developer working on a number of integration projects. 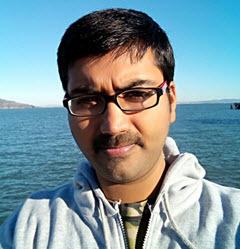 Krishna’s current areas of expertise include SAP Cloud Platform and SAPUI5. This course was held from Apr 10, 2018 through May 30, 2018. This course was rated with 4.36 stars in average from 297 votes. Nena Raab, chief developer of the course content, started her career in software engineering in Extreme Programming research. Since then, her work has focused on bringing the latest technologies and development practices to numerous product areas. In SAP’s Agile Software Engineering initiative, she was one of the key players, focusing on test automation and team coaching. Robert Girts is a senior developer for SAP Cloud Platform Security, currently focusing on application security for Java web applications running on Cloud Foundry, as well as enabling application developers to build security into their products from the very beginning of the development lifecycle. Before joining SAP in 2010, Robert worked for 20 years as an SAP developer and consultant for SAP customers.